Join Jefferson’s Walking School Bus on Wednesdays! 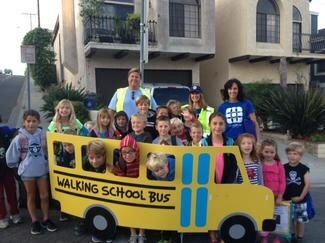 Walking School Bus is part of the national Safe Routes to Schools program created to promote a healthy lifestyle for your community. A Walking School Bus is a carefully supervised group of students who walk to & from school.